Lockheed Martin has received a $471 million contract from the U.S. Army for Lot 12 production of Guided Multiple Launch Rocket System rockets. The contract calls for the production of GMLRS Alternative Warhead rockets, GMLRS Unitary rockets, Reduced-Range Practice Rockets (RRPRs) and integrated logistics support for the U.S. Army and Foreign Military Sales. Work will be performed at the Lockheed Martin facilities in Camden, Ark., and Dallas. All production deliveries are anticipated to be completed by the summer of 2019. GMLRS is an all-weather rocket designed for fast deployment that delivers precision strike beyond the reach of most conventional weapons. The new GMLRS Alternative Warhead was the first munition developed to service area targets without the effects of unexploded ordinance, complying with DOD cluster munitions policy. 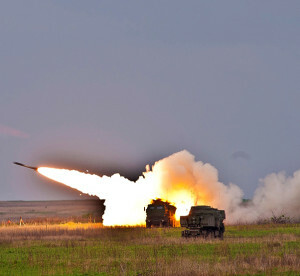 GMLRS Unitary rockets greatly exceed the required combat reliability rate and have established a reputation for affordability. The RRPR allows users to train with realistic, full-motored rockets with limited flight range, making them ideal for smaller testing ranges. In combat operations, each GMLRS rocket is packaged in an MLRS launch pod and is fired from the Lockheed Martin High Mobility Artillery Rocket System HIMARS or M270 family of launchers. GMLRS was established as an international cooperative program among the U.S. and allied nations. Lockheed Martin has produced more than 30,000 GMLRS rockets at its facility in Camden. The company’s Camden Operations has received more than 60 awards over the last decade, including the 2012 Malcolm Baldrige National Quality Award and the Shingo Silver Medallion Award for Operation Excellence.